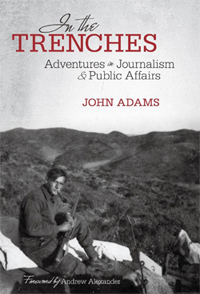 College communications/PR majors as well others in PR can find out why so many career paths lead to Washington, D.C., these days by reading "In the Trenches" by John Adams, who has had a D.C. firm since 1973. John Adams Associates has been up to its ears in many of the major PR/PA stories involving D.C. in one way or another for 39 years. Adams started as a journalist and never let his writing skills atrophy. 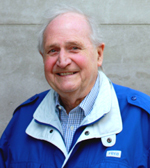 He combined this talent with knowledge of D.C. to build a firm that has worked for American Express, General Electric, DuPont, 3M, Dow, France’s Aerospatiale, Canada’s Bombardier, Sony, and other clients, and industry groups such as the American Petroleum Institute and American Chemistry Council and coalitions including the Clean Air Working Group, Environmental Industry Council, and Manufacturers of Emission Controls. His firm became known for its expertise in scientific issues. Chief scientist John Heinze, formerly at the National Institutes of Health, quickly analyzes new studies and determines how seriously they should be taken by clients, legislators or the press. Adams continued to do plenty of writing including speeches, congressional testimony, developing background papers and writing articles and letters to the editor for publications. Evidence of his skills is that he wrote a speech for President Ford on inflation and one for President Reagan on the 50th anniversary of the Battle of Britain. Adams was founding chairman of the Worldcom Group of independent agencies, working closely with New York financial PR counselor Andrew Edson who was honorary secretary. The first reporting jobs of Adams were at the Gazette and The Daily Telegraph in England. From there he went to editorial posts in Munich and Bonn working for Radio Free Europe in the 1950’s. After that he went to the U.S. where he became an editor at the Catholic News and later a correspondent with ABC News and CBS News. Before launching his writing career, Adams served a required two years with the British army. He found himself at the age of 20 in 1951 fighting against the Chinese in the Korean War. He received head and back injuries from an exploding shell in one of the battles and was captured. He and about 20 prisoners, only “loosely guarded,” managed to escape in the dark by working their way through a minefield that they had laid down only a few days previously. From Telegraph to RFE to U.S.
A key career move by Adams was offering to be a correspondent in Africa after several priests and nuns were killed in the Belgian Congo. He became the only reporter there for the Catholic press. His stories drew the attention of ABC which resulted in a full-time job from ABC at twice the salary when he returned to New York. However, the ABC job ended abruptly in November of that year once the election was over. Adams was quickly recruited by CBS but that job didn’t last too long, either. Next job was at the Congressional Quarterly which was planning a broadcast service. CQ decided after six months it didn’t want such a service and Adams took his first PR post—with the Investment Company Institute. A neighbor tipped him off to a post with the U.S. Price Commission which was battling inflation in the 1970s. He became director of the Office of PA in the Executive Office of President Nixon, working on the Nixon’s controversial price control program. That job ended when the Administration deemed the program a success since inflation dipped to 3%. Adams opened his own firm in 1973 with people from government and political jobs. None had ever worked in PR. Three co-workers from the Price Commission soon joined him. Adams cites the many successful people who had tours at his firm including intern Debbie DiMaio. She landed a job as an associate producer with a morning show in Baltimore hosted by Oprah Winfrey. Adams says that when DiMaio later got a job at ABC-TV’s Channel 7 in Chicago she convinced the station to hire Winfrey for the station’s morning show, “AM Chicago.” In less than a year the show went from low-ratings to No. 1. Consumers are being overwhelmed with information and need journalists who can serve as “explainers-in-chief,” he writes.